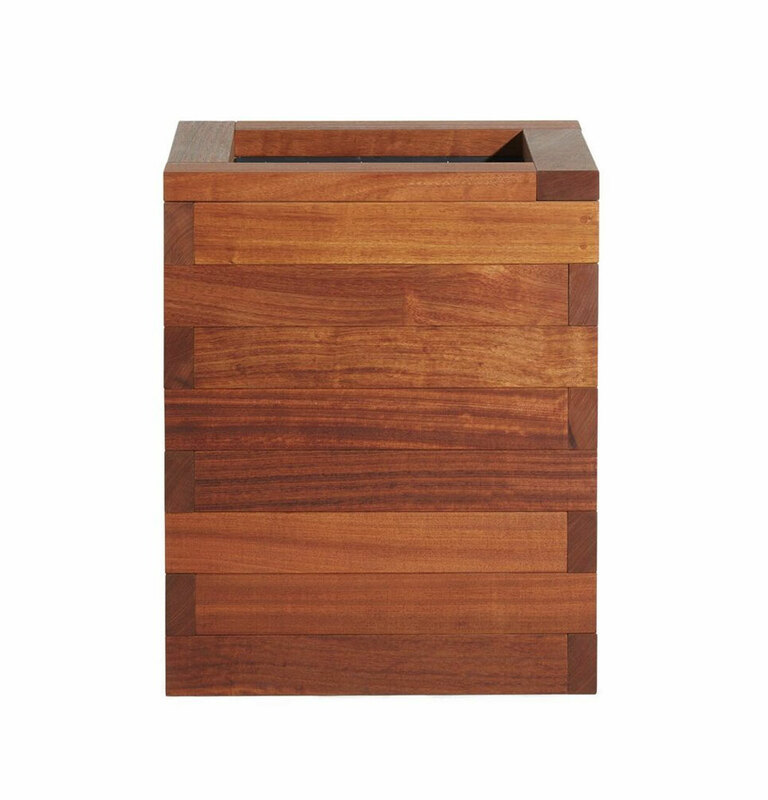 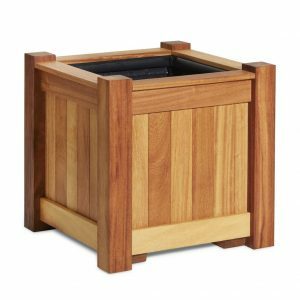 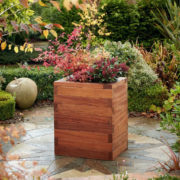 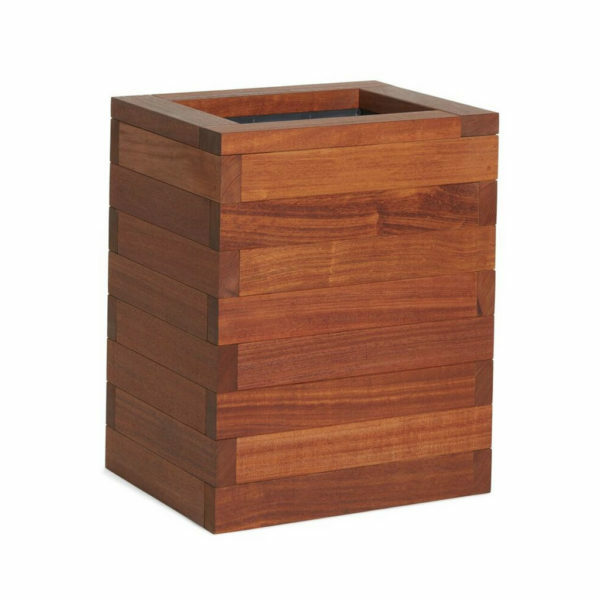 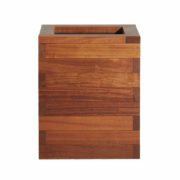 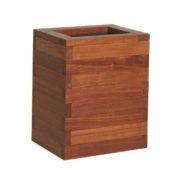 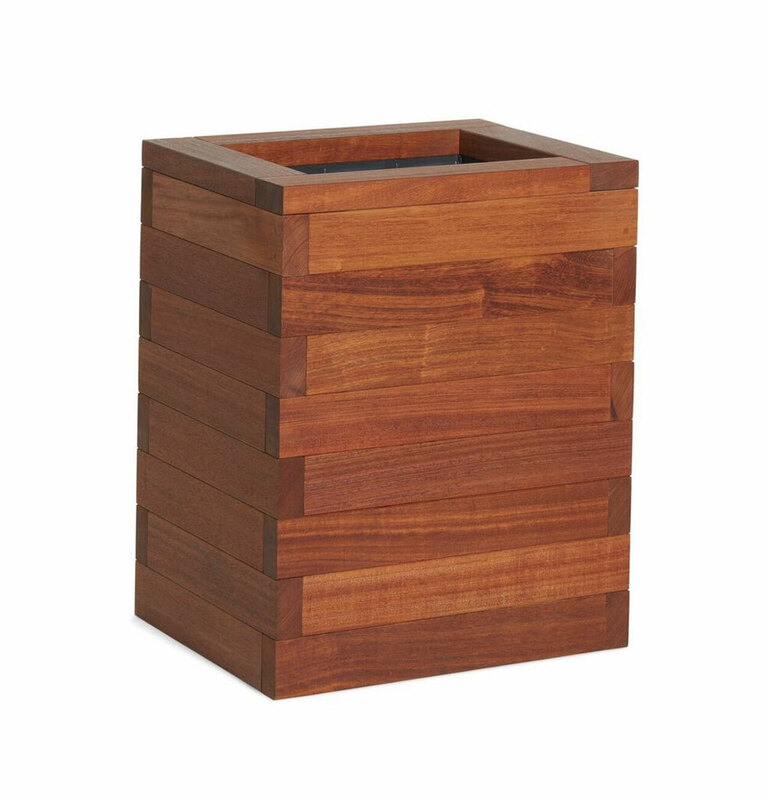 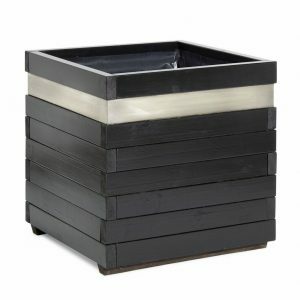 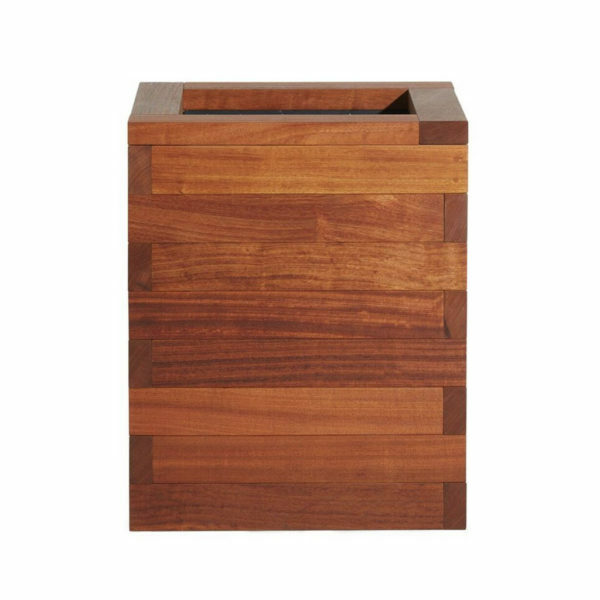 The Iroko Blok Planter is a stylish and robust design perfect for outdoors. It is constructed from 95mm x 46mm thick sections of handpicked Iroko hardwood and finished with 2 coats of Danish oil to give it a high end finish. 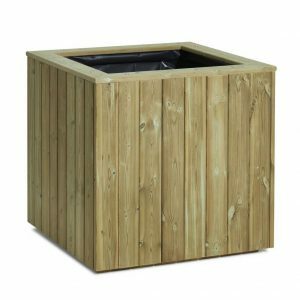 This sturdy but elegant design is popular with commercial businesses and restaurants to create a barrier around outside seating areas. 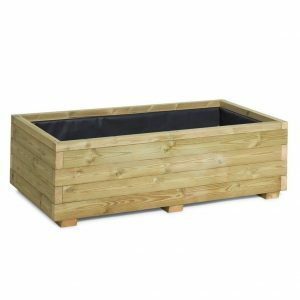 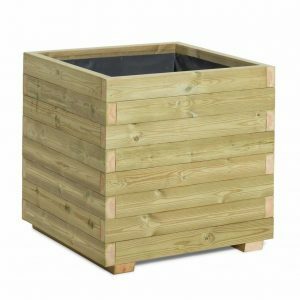 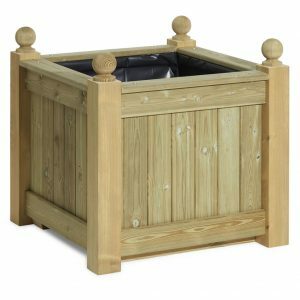 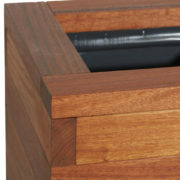 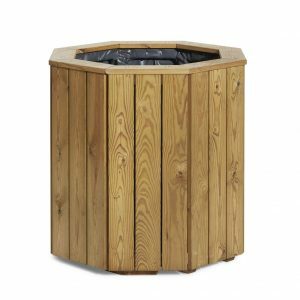 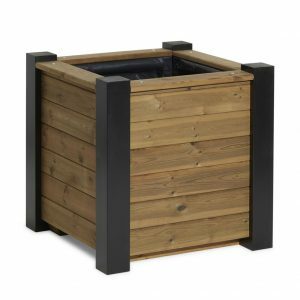 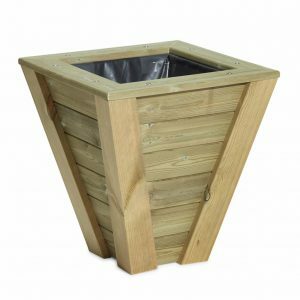 All of our wooden planters come with a 10 year timber guarantee. 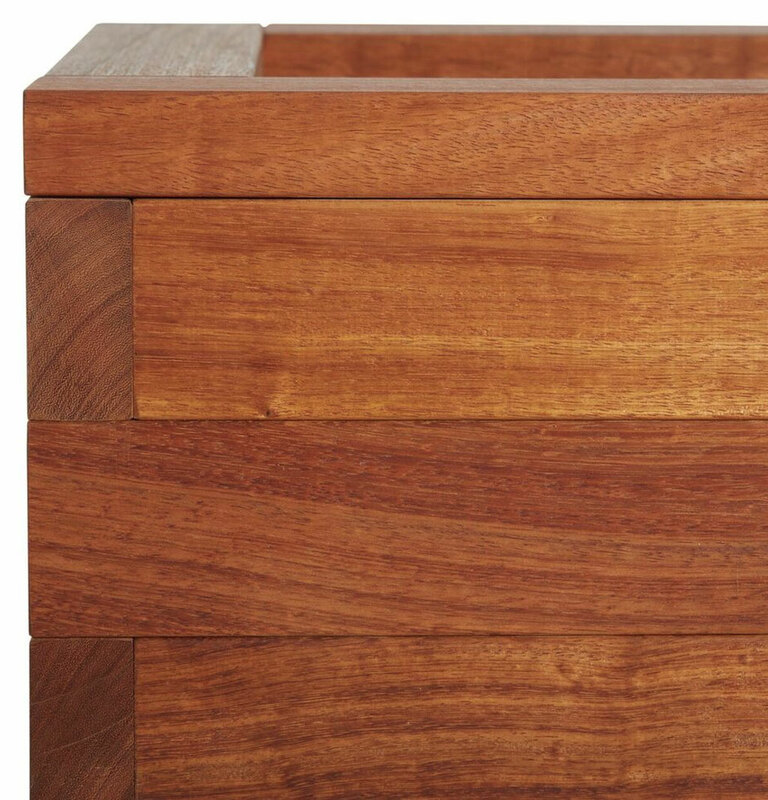 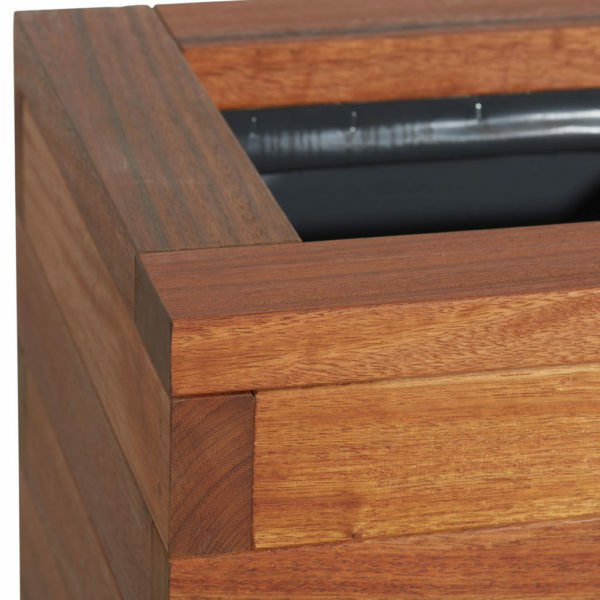 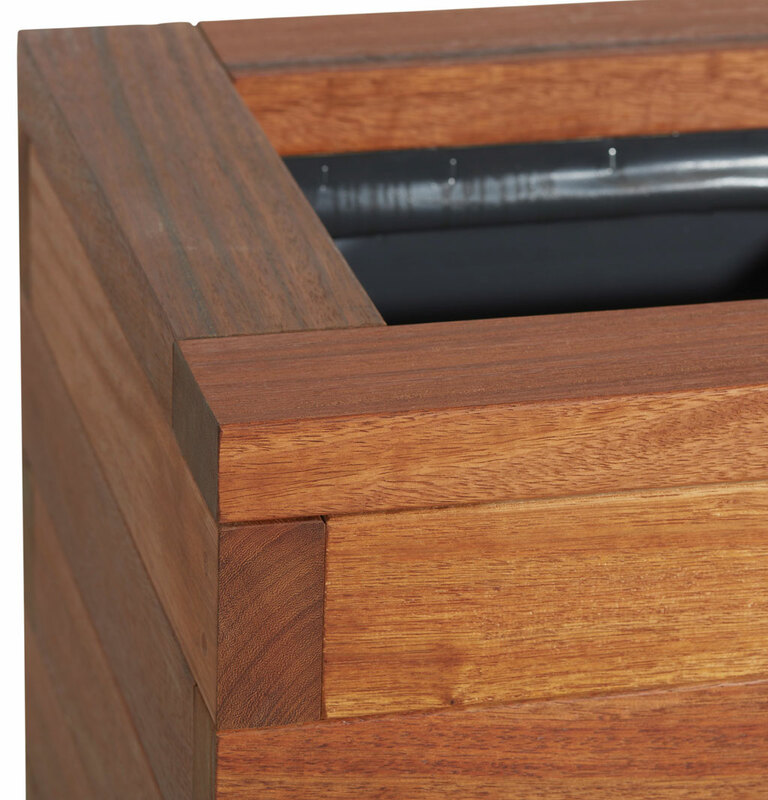 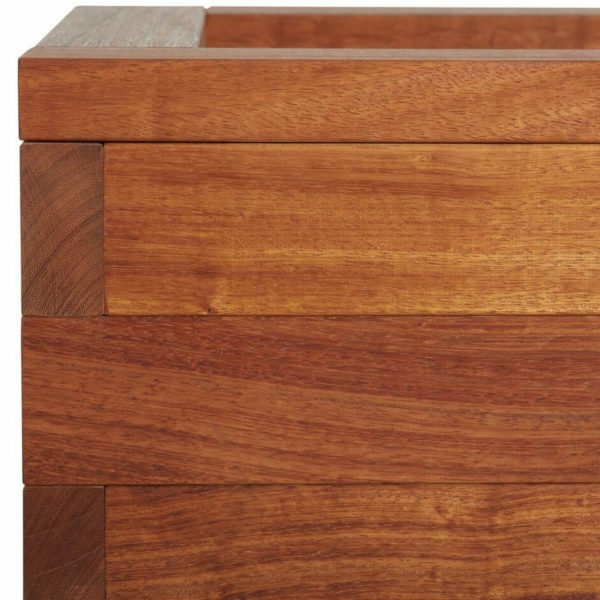 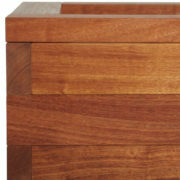 MATERIALS – 46mm X 95mm thick Iroko sections, 95mm x 46mm bearers complete with a 150mm x 28mm bottom base.